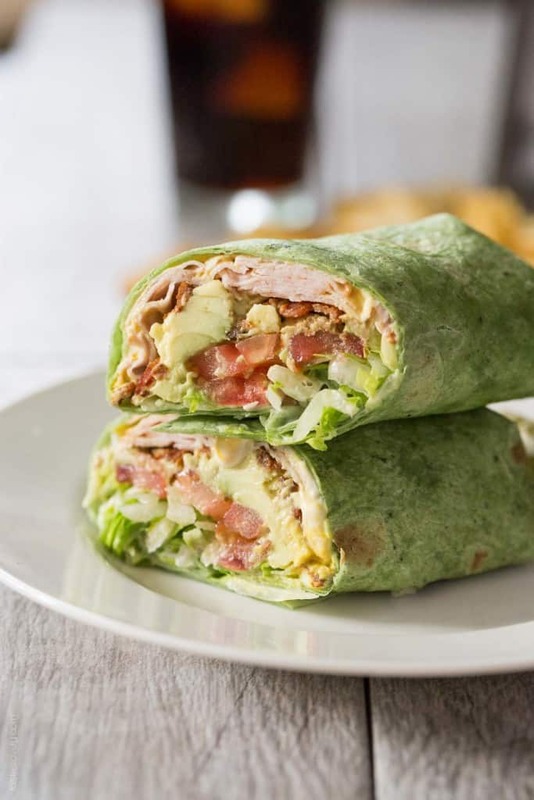 California Turkey Club Wrap with turkey, bacon, avocado, tomato and lettuce. A healthy and delicious balanced lunch! This is one of my favorite lunches. 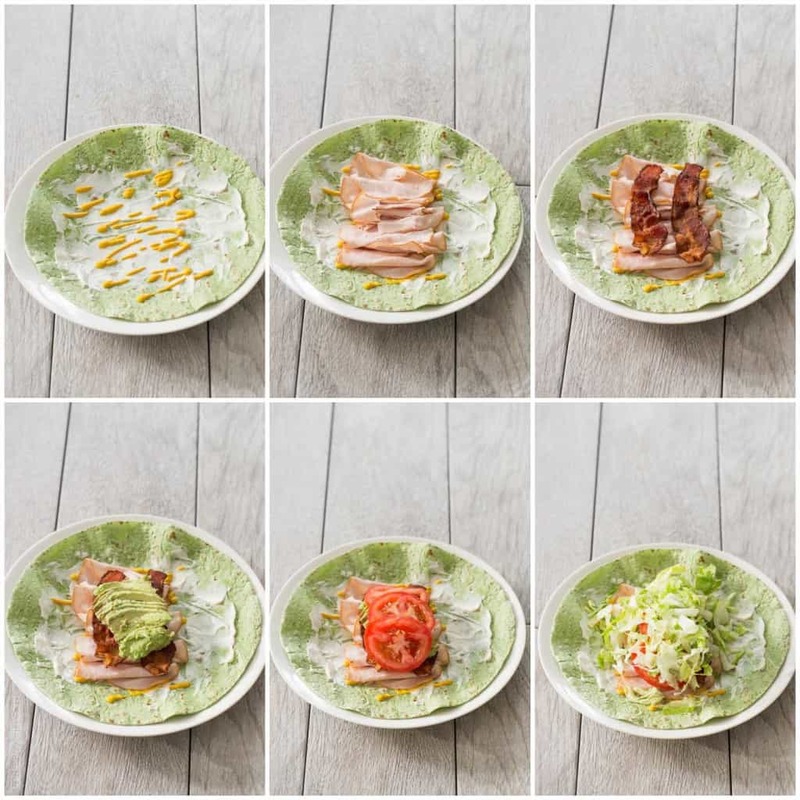 Sandwiches just taste better in a wrap! There’s less bread, so all the delicious sandwich ingredients get to shine through. It is so simple to make. I start with a spinach tortilla, but any tortilla will do. Make sure it’s the big kind meant for burritos because you want plenty of room. To make it layer on mayo, mustard, turkey, avocado, tomato and lettuce. Wrap it up, and lunch is served! Tip: shred your lettuce! It makes it much easier to get in an even row because the lettuce is all an even size. You must try it. 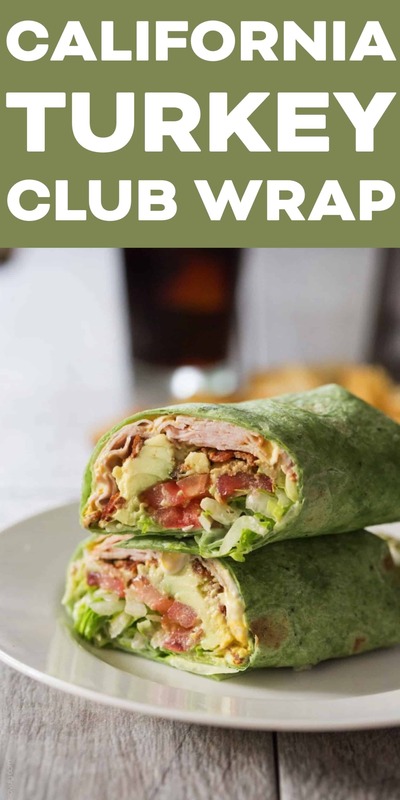 This turkey club wrap is perfect to make ahead because the tortilla doesn’t get soggy like bread does. I like to make 3 wraps at a time, eat one and then cover and refrigerate the other 2. Wrapping them in saran wrap is best because it keeps it completely covered, and I also love to keep them in these airtight containers. Will keep wrapped in saran wrap in an airtight container for 3 days if you are making it in advance for lunch for the week. I’d definitely never hear of dream feeding, but it sounds pretty awesome! Shredded lettuce is the best. I immediately thought of a Brass Bear sandwich when I read that. I’m usually too lazy to do it at home, but I should! I’ve never heard of dreaming feeding before, but it sounds like a life saver for you! And that means that you get to dig into this delicious wrap earlier then, right?! :) Absolutely love the ingredients in here…one of my favorite kinds! That sounds like such a cool feeding method! And hey, it definitely works if you’re getting more sleep because of it! ;) Now about these wraps…NEED! 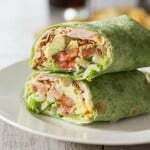 They have Cali-style wraps at our grocery store that I totally love and I’m super-excited to try them homemade now! I have never heard of dream feeding before, but it sounds like it works out perfectly for both of you! I’m loving this wrap too, I love those spinach wraps! Sooo good! These look so tasty and summery! I’ve never heard of dream feeding. I don’t have a baby… but if I end up having one, that is good to know and hopefully I will still remember haha. I thought the same thing about the dream feeding, lol. I hope I remember this when I decide to have a baby and that it works. I never would have imagined a baby could eat while sleeping! Weird! 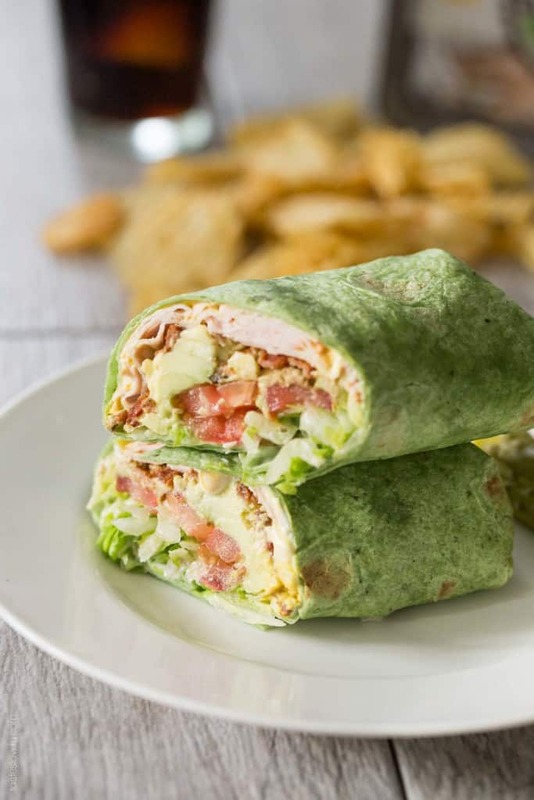 This wrap looks super yummy!